MeTL Group is a leading economic force in Tanzania with major investments and successful operating companies in key business sectors. The Group employs more than 24,000 people across the country, in areas as diverse as trading, agriculture, manufacturing, energy and petroleum, financial services, mobile telephony, infrastructure and real estate, transport, logistics and distribution. 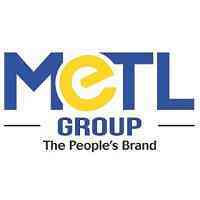 MeTL Group began in the early 1970s as a small trading business with a big vision. This vision, coupled with knowledge and skills derived over more than 40 years in business, has enabled the Group to grow exponentially into one of the largest businesses in Africa. Currently, MeTL Group's operations contribute 3.5% of the GDP of Tanzania. The Group plays a vital role in strengthening Tanzania's opportunities for growth and development in private industry-ensuring the country can reap the benefits of globalization. NOTE: Only Qualified candidates will be contacted , Metl Company group is equal opportunity employer and hence encourage special challenged and female candidates to apply. Maintain quality parameters and standards.